American insurer Cigna has announced its debut in India's underpenetrated health insurance sector, in a joint venture with south Indian conglomerate TTK Group, according to the Wall Street Journal. The two partners have invested $22 million in the venture, which will start operations with six branches in major Indian cities, according to Sandeep Patel, chief executive officer of CignaTTK Health Insurance Co, the WSJ report added. "India is an important market for us," Jason Sadler , Cigna's global head of individual insurance business, told The Wall Street Journal in a phone interview. India spends only around 3.9% of its gross domestic product on health care, according to the World Health Organization. Also, only 14% of total private expenditure on health in India is covered by insurance, leaving a large gap that health insurance companies can fill. However, India's insurance sector has been hard to crack. India has allowed foreign companies to own stakes in insurance firms since 2000, but limited that investment to 26%. Several major global insurers have entered India in the last decade through joint ventures. But many of these joint ventures are still unprofitable, because a slowing economy and changes in regulations have hurt the growth of insurance sales. These ventures need additional capital to expand, which local partners have been reluctant or unable to provide and which the foreigners aren't allowed to give. A bill proposing to increase the foreign investment limit in insurance companies to 49% has been pending for years. The latest Obamacare ad pitches to get young adults to sign up for health insurance. So, it is not just India where insurance is a 'sell' product. Though there is a crucial difference. Awareness levels are much higher in the western world and it is more about affordability. In India, on the other hand, most of us still do not see the point in buying a health cover. Data shows, almost 75% of medical spending in India is out-of-pocket and only 14% of the population has some form of health insurance. So, there is huge potential for deeper penetration of health insurance segment as our country as it is severely under insured. The government is also taking health insurance seriously. Providing government-run health insurance to below poverty line (BPL) workers and their families through Rashtriya Swasthya Bima Yojana (RSBY) was a milestone achieved by the government a and the RSBY coverage has been expanding. Universal health coverage for at least 80% of the population by 2020 will also quickly emerge as a key Government priority. But it is not just the poor in India that needs health insurance. 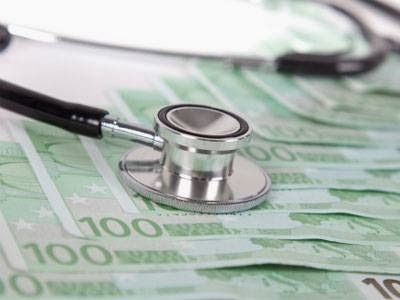 Healthcare costs often burns a whole in the pocket of an average middle class family as well and the rising costs is one of the factors that have helped the fast growth of the health insurance industry in the past few years. However, the focus till now was more on product and distribution. More efforts need to be put in at the industry level to enhance customer awareness. In 2013, health insurance industry witnessed transformation with the implementation of standardization guidelines which aim to simplify the complexities in the documentation for consumer's better understanding. In 2014, product innovation and focus on quality of service will be help insurers to strengthen reputation and grow as a business, believes Manasije Mishra, CEO Max Bupa health insurance . "It is an exciting time to be in the health insurance industry--the regulatory sentiments are in the best interests of the industry and customers and will definitely propel the industry forward. In the last few years, the industry has spearheaded towards a positive change however we have only touched the tip of the iceberg and a lot yet remains to be achieved," he says. We asked the important men of the insurance industry tell what will they do to change the scenario in the next few years to make the product reach every aam-aadmi. ANTONY JACOB, CEO, APOLLO MUNICH HEALTH INSURANCE: Cashless card for a hassle free 'walk-in - walk out' claim experience. In the past, lifestyle diseases have been associated with metropolitan cities. But this has changed. For instance, today diabetes afflicts over 65 million Indians and impacts a majority of individuals during their productive working years. All these facts and figures have to be analysed and understood while developing product for the customers' changing needs. On the service delivery standards, we need to work towards a far more automated system with minimal human intervention. 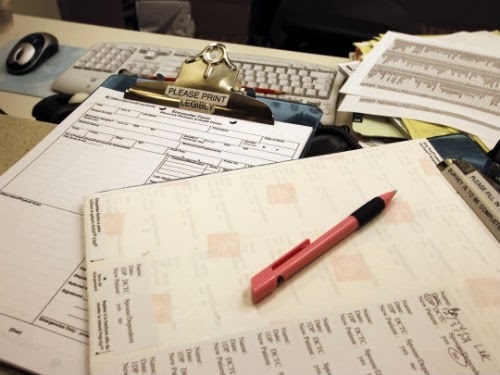 Since we are in the business to pay claims, we need to work for a far more efficient and transparent system that can take decision on a real time basis. At Apollo Munich, our immediate aim is to create a system where we can empower our customers and providers to be able to use the cashless card as any other credit or debit card where you can have a hassle free 'walk-in - walk out' claim experience. BHARGAV DASGUPTA, MD & CEO ICICI LOMBARD: Evolve from being mere health risk financiers to adopting a more proactive approach of managing the customer's health. We need to introduce health management services such as wellness solutions, knowledge dissemination tools etc. Another case in point is the current focus on In-patient hospitalisation (IPD) benefits. It is a well known fact that Outpatient treatment (OPD) accounts for the bulk of healthcare expenses. Insurers need to introduce specific OPD policies thus aligning their offerings to customer needs. In case of motor insurance, we need to take over the responsibility of ensuring quality repair of the damaged vehicle through tie-ups with service stations instead of merely financing the repair expenses. So far the focus has been on in patient coverage. Very soon you will find a whole range of new coverages ranging from outpatient cover, wellness programmes, disease specific covers, expansion in number of day care procedures, etc., coming in. Owing to major cost implications, there would be greater receptivity to standardised treatment guidelines and medical outcomes. It is just a question of time before the integrated financing and delivery of healthcare emerges. AMARNATH ANANTHANARAYANAN, MD & CEO, BHARTI AXA GENERAL INSURANCE: Provide a wider choice to the customer and more active at tier-II and III city level. In a market where most products appear the be similar to customers, product and service differentiation would be the pillars for not just company growth, but also to provide a wider choice to the customer and hence boost penetration. Further, with the advent of the digital age, and online purchase of insurance, accessibility and reach of insurance to the underinsured segments and Tier II & III cities will be more wide-spread. 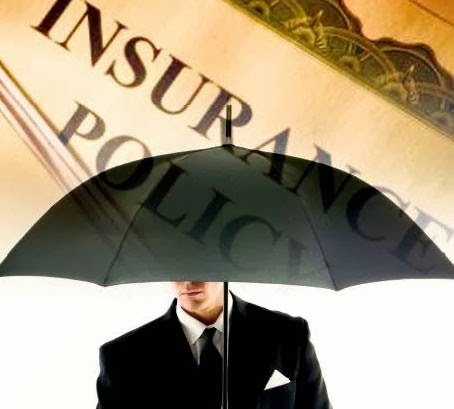 These product guidelines are in line with the IRDA's regulatory theme of customer orientation and long-term nature of the life insurance business. The guidelines follow two overarching themes of providing Guarantee and enhancing Transparency. The major changes introduced include - Higher Death Benefit, Guaranteed Surrender Value and mandatory Benefit Illustration for all life insurance products. The changes related to death benefit and surrender value may marginally reduce the customers' overall maturity benefit, i.e., policy IRR, especially at higher ages but will ensure that life insurance serves the purpose of providing life cover which no other financial instrument offers. All ULIPs are currently sold mandatorily with a personalised Benefit Illustration. This requirement is now being extended to other product forms. The new guidelines have also provided for setting up a "With Profit Committee" at the board level. While personalized benefit illustration will provide for greater transparency in the pre-sales discussion, the With Profit Committee is likely to lead to greater governance in the administration of Participating policies. Premium paying term linked distributors' commission will promote the long-term nature of insurance products. 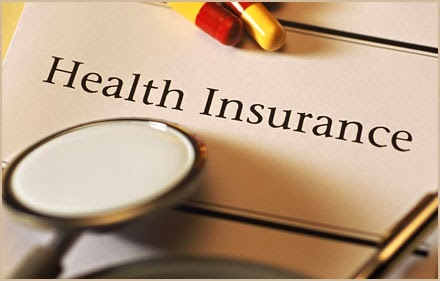 Health Insurance TPA of India, the common in-house Third Party Administrator (TPA) of the public sector general insurers will be fully operationalised only by November. Hence, the loss ratios in the health portfolio are expected to continue. The common in-house TPA of public sector general insurers, named Health Insurance TPA of India was incorporated in August 2013 to handle health insurance claims of the state-owned insurers. However, it is yet to get the license from Insurance Regulatory and Development Authority (Irda). These claims are now handled by external TPAs. This common TPA to process health claims has National Insurance Company, New India Assurance Company, United Insurance Company, Oriental Insurance Company and General Insurance Corporation of India as stakeholders. While the first four have 23.75 per cent stake each, GIC has five per cent. Health Insurance TPA of India Ltd. was incorporated on August 14, 2013 and its key objective is to enhance customer experience and to bring in greater efficiency in health insurance claims management. This Health Insurance TPA is headquartered in New Delhi and shall develop its footprints/branches in different cities in due course. Officials said that Health Insurance TPA has already applied to Irda for a TPA license and expects to get the approval in the next few weeks. Subject to regulatory approvals, Health Insurance TPA shall provide end-to-end ‘Health Services’. This would include member enrolment, call centre, customer service and grievance management, pre-authorisation and claims processing. Further, it would also be involved in provider network empanelment, verification and investigation, pre-policy health check-up and facilitate customer awareness and wellness programmes. Health insurance loss ratios range from 95 to 100 per cent, depending on the size of the company. Loss ratios refer to the ratio between premiums collected and claims paid. However, with stiff competition in group health portfolio with aggressive discounts given to retain customers, the losses have been on the rise. Those in the sector said this common TPA was expected to speed the claim-settlement process, as well as reduce the claims ratio of insurance companies. This move is expected to reduce costs for these insurance companies, which pay a commission of approximately six per cent of premiums to TPAs to settle claims.